Busted’s new album, Half Way There, is inspired by a lyric in their 2002 hit single, Year 3000, in which they sing, I took a trip to the year 3000 / This song had gone multi-platinum / Everybody bought our seventh album. It’s the band’s fourth album. There was a gap of more than a decade between their second and third records, during which time the band split as the trio chose to pursue their own interests. Released in 2016, Night Driver was perhaps more experimental than anything the pop rock band had ever recorded, drenched in 80s-style synths and neon lighting. The new album, out at the end of the month, sees the band return to the college rock sound of bands like Green Day, Blink 182 and Wheatus. 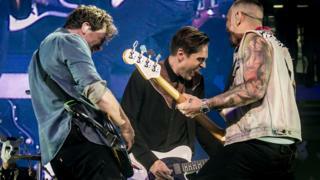 Between 2002 and 2004, Busted landed two number two albums, eight top three singles and a sell-out tour, which included a record-breaking eleven consecutive nights at Wembley Arena. At the end of 2004, Simpson – reportedly in a phone call to his bandmates – quit the band to focus on his side project, the rock outfit Fightstar. 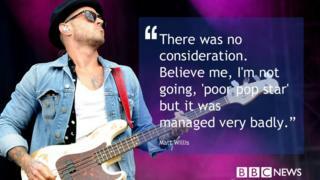 In a hastily organised press conference less than three weeks later, Bourne and Willis announced Busted – who topped the UK chart with songs like Crashed The Wedding and Who’s David – were officially over. 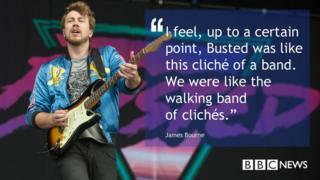 James:”I feel, up to a certain point, Busted was like this cliché of a band, we were like the walking band of clichés, a one-hit boyband, flash in the pan, over-before-it-began. Then 10 years goes by – reunion cliché! Charlie: “Those clichés are everything the band wasn’t, because we hated them. We hated the machine of pop, we split up at the height of our fame, they were talking about us putting on a Wembley Stadium gig and we gave it up. “Well… no, I did. The point is, Busted was a real band and I had big issues with the way it was perceived and that is one of the driving reasons why I left. 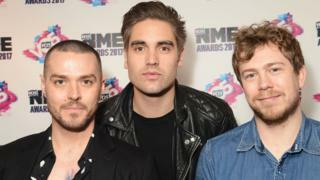 Though Busted differed from many of their boyband contemporaries, due to the fact they actually played their own instruments, the band were targeted at a young female audience and arguably reduced to caricatures (the pretty one, the crazy one and the geeky one). Their failed attempt to crack America was captured by MTV. Charlie: “We were young and impressionable with no experience and who were we to question it? We did a lot of things we didn’t like, whether it was album mixes or certain promotional things we had to do. We couldn’t stop it and that was difficult. James: “The albums we’ve made since we’ve come back are rectifying all of that. Our last two albums, I know I will listen to them in 10 years’ time and they will stand up. Matt:“The biggest thing we’ve learned is not to sweep things under the carpet. When you think about when Busted broke up, the reason it broke up and what happened afterwards is because no-one said anything about what the others were going through. We were in this whirlwind, this money-making train that you weren’t allowed to mess with. “Charlie is miserable and hates it, James is on his own, Matt’s drinking too much, let’s sweep that under the carpet and let’s just keep everyone a little bit happy. There was no consideration. Believe me, I’m not going, ‘poor pop star’ but it was managed very badly. Now, what we’ve done from the word go, is we’ve been very open about the way we feel and that’s why I feel Busted could keep going for 50 years. If, in a year’s time, one of us goes, ‘You know what guys, I need a bit of space’, we’ll be like, ‘See you in a couple of years then’. By the time the band reunited for the Pigs Can Fly tour in 2016 (an unsubtle reference to their previous unwillingness to reform), the industry had changed immeasurably. Bidding wars for debut artists are rare, most of the high street music chains have shut, music on television struggles to find a format that works and streaming services and playlists are king. 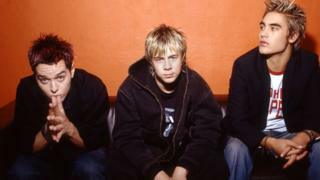 Charlie: “Ten years ago, Busted existed in a very different music industry. So we came back to it thinking, ‘Well, where do we fit in because we’re not a new band?’ We realised we were incredibly lucky because we have a very loyal fanbase so we ditched the idea of, ‘Does it fit in this playlist or on radio?’ and thought about the fans. They are the ones that come to our shows and buy the albums, so we ditched the industry. Charlie: “There are algorithms now for music. Whoever’s writing Little Mix songs or whatever are chasing algorithms. It used to be about what made the hairs on an A&R man’s arms stand up. Now, it’s just like how many Instagram followers you have. That doesn’t mean anything. I worry that when we talk about this stuff, we end up sounding like old men. But there’s lots of positives to the way the industry is moving, accessibility for new artists is fantastic because people can build their own fan bases. James: “Look, hits are great but there’s got to be room for more than that, if you really want to get interesting again. When is the next Bohemian Rhapsody going to be written? When is somebody going to write a song like that? It wouldn’t get played on radio in a million years. How do those outside-the-box hits happen in the world now? The band’s new album is steeped in nostalgia, with song titles like Nineties, Radio, Reunion, What Happened to Your Band and, inevitably, Nostalgia. 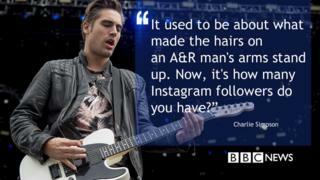 Charlie:“We went back to basics, man, we got a couple of acoustic guitars in the place where we wrote the first album. We went back to the same building we moved into as 16-year-olds and sat there and wrote songs. It was literally that simple and once we had that plan, it took about three weeks. “Nostalgia is a very powerful feeling, it’s a good feeling, it’s something we all treasure and music is one of the most nostalgic drivers you can get. Music can take you to a place and time with the first strike of a chord. Harnessing that power but making a record that doesn’t sound dated, creating a fresh approach, that was the aim of this record. It has a nostalgic feeling but is very much a modern record. James:“The whole band could burn tomorrow and every one of us would be fine because there are so many other things we can do to make money. One thing that the last two years has proven, is that there is a reason why it took off the first time and why it can be a success this time. Because there is a ‘thing’. There’s like this cool thing, whatever it is. Half Way There is out on 1 February. This kids’ worksheet is a perfect example of how implicit bias gets perpetuated.